This is the companion Web Site of Bob Moler's Ephemeris radio program, which is broadcast Monday Through Friday on Interlochen Public Radio Stations. Interlochen Public Radio serves northwestern lower Michigan. The first Ephemeris program was broadcast June 1, 1975. Click on the above link for live streaming audio from IPR. Bob Moler's Ephemeris Blog contains transcripts and illustrations from the Ephemeris programs. They are generally released at 12:01 a.m. Eastern Time on the program play date. 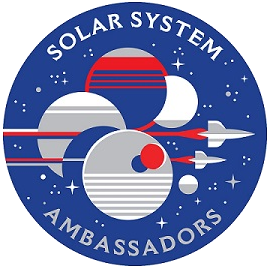 Contact me at the email address at the bottom of this page to discuss star parties and presentations for schools, scout groups, and non-profit organizations. Interested in learning more? If you live in northwestern lower Michigan check out the Grand Traverse Astronomical Society. More information on visible planetary and other events are available on Bob Moler's Ephemeris Blog the day of the event. The blog contains Monday-Friday program transcripts, most with illustrations and additional information. I’m interviewed about all things astronomical prior to the August 21, 2017 eclipse. Photo, text, and audio. Extra! My report on the Great American Eclipse. New: Added animated GIF of the sky at the totally eclipsed Sun, watching the shadow pass over. NASA - SKYCAL - Sky Events Calendar by Fred Espenak and Sumit Dutta (NASA's GSFC) (with occasional annotations and additions) It can also generate in a calendar page format. We have a new location for information on planetary space missions. It's here at the Planetary Society. The chart is created by Olaf Frohn, and is updated every month. Stellarium is a fabulous planetarium program with a very realistic sky and simple controls. They've added some features in the latest version (0.18.3) and and a new rendering engine that may not be compatible with computers more than a year or two old without using command line options. See the Stellarium User Guide (pdf) under Command Line Options for options to try. My older laptop requires -a. https://stellarium.org. There’s also a web based version of Stellarium. It’s pretty much bare bones, but works much like the computer version. It’s located here: https://stellarium-web.org. Cartes du Ciel (Sky Charts) is a great telescope companion. It can be downloaded from http://astrosurf.com/astropc/. Virtual Moon Atlas is a great tool for reference at the telescope or desk. http://www.astrosurf.com/avl/UK_index.html.